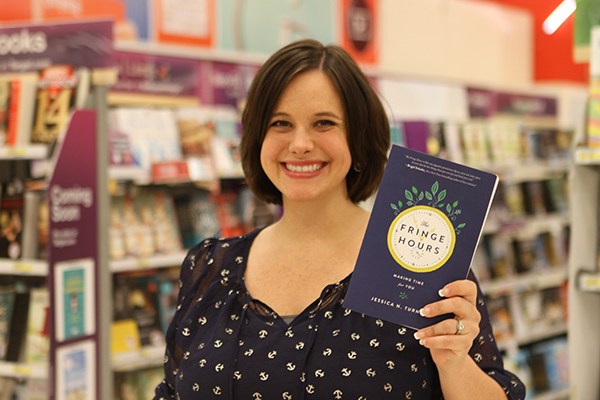 Last week, I shared my big news – The Fringe Hours is going to be available in Target stores starting around this coming Monday, July 6. I have been a Target girl literally since I was in my mother’s womb. You see, my parents met at Target, where they both worked, in the 70s. My Dad spent 25 years with the company and my mom is still employed by Target today. Mom has always told me that people used to read the policy and procedure guides to her stomach when she was pregnant with me. Target runs in my blood. In honor of Throwback Thursday, I thought I would share a few of my many fond memories growing up in Target. Decorating trees at Target: Target wasn’t always open late on Sundays. In the old days, the stores would close at 6 or 7. On one of those fall Sundays, employee families were invited to come help decorate the trees in the Christmas department. It was so fun to trim the trees with the newest decorations. 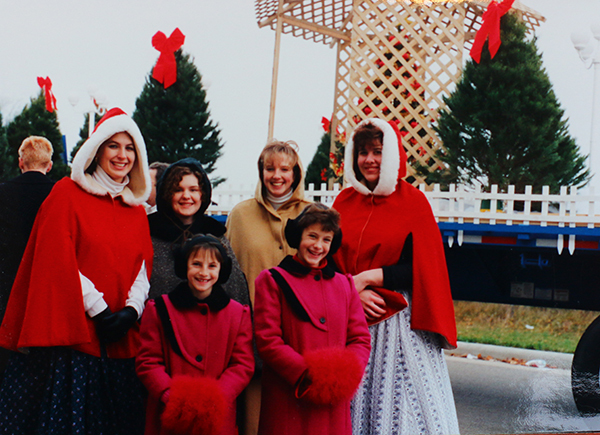 Parades: For several years, Target was in the local Christmas parade and my sister and I got to ride on the float. It was magical! Target stuffed animals: In the late 80s – early 90s, Target had exclusive stuffed animals every Christmas, including Tweaks the mouse and Snowden the snowman. We would be so excited to get them every year. One year, Target had an employee coloring contest featuring Tweaks and my sister won for her age group. I was so jealous because she got the stuffed animal. Celebrities at Target: When a new Target would open, Target would always have a celebrity attend the celebration (often a soap star). 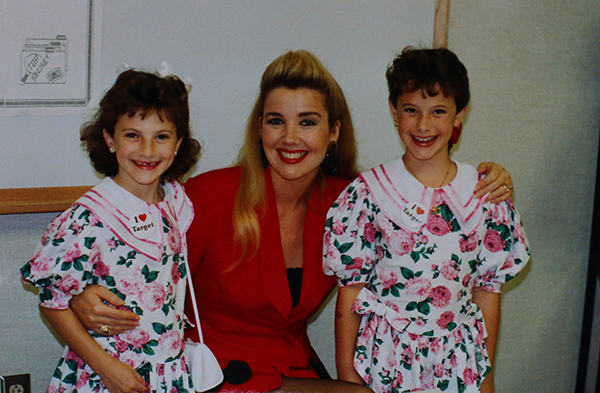 My Dad opened the Oshkosh, Wisconsin store in 1992 and Melody Thomas Scott from The Young & The Restless attended. My sister and I were all dressed up and people thought we were her kids! 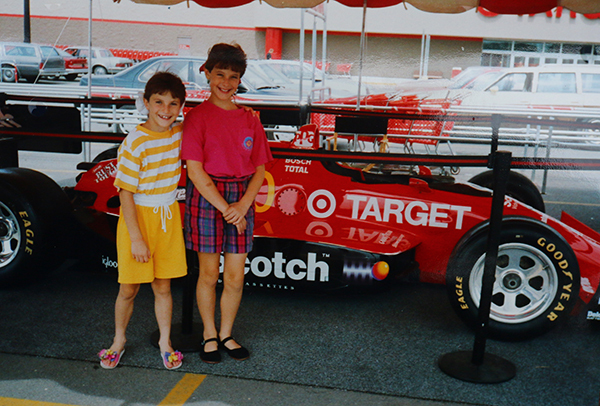 Indy car racing: For many years, a perk of my dad being a store manager was that we got tickets to go to the Indy Car races to cheer on the Target Chip Ganassi team. We would always go with another Target family and made so many happy memories. (Check out my Instagram feed for a picture of me in an Indy car.) We met the Target racing team and many other famous Indy car celebrities at the time including Tim Allen, Paul Newman and Mario Andretti. Target would also have the racers come to their stores. 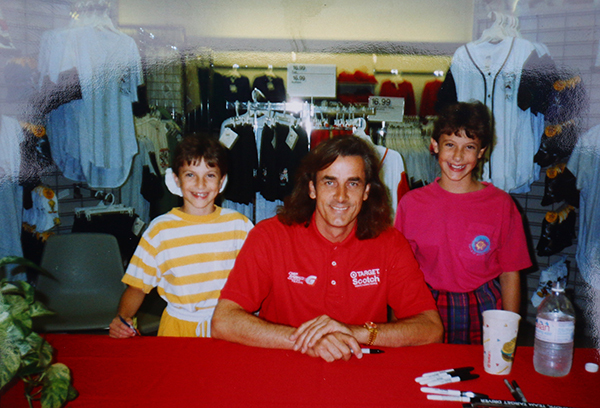 We met many including Arie Luyendyk (pictured above. Remember when his son was on The Bachelorette? 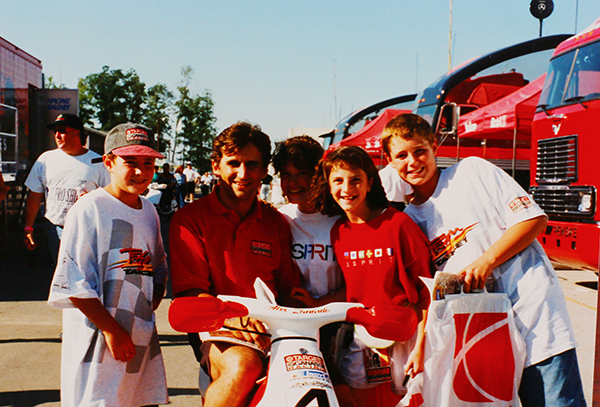 ), Michael Andretti, Jimmy Vasser and Alex Zanardi (he was my favorite – pictured on the scooter above). Easter petting zoo: At Easter, my dad would hire a petting zoo to come to Target. It was so fun to see all the little animals. I remember little lambs in the men’s department! You would never see that in a Target today. Take your daughter to work day: My sister and I loved doing take your daughter to work day with my parents. From going in the stock room to helping on the lanes, it didn’t seem like work to us! As you can see, Target isn’t just my favorite store. It isn’t just a place where I get great deals. It’s part of my story, which is why it is such an incredible honor to have my first book on Target shelves next week. I can’t wait! Next week we will be celebrating The Fringe Hours in Target with exciting giveaways and special posts. I hope you’ll join in the fun – and if you pick up a copy when you are at Target, be sure to snap a photo and tag it #FringeHoursinTarget. What a great achievement! I loved this blog post – I had no idea about your Target connection. So amazing… huge congratulations. You deserve it. What awesome memories you have!